The iPhone has hit a new all-time high when it comes to market share in Japan: representing a massive 36.6% of all Japanese smartphones in the first quarter of 2014. This increase, which is up from last year’s 25.5%, was driven by Apple’s deal with NTT DoCoMo, a.k.a. Japan’s largest carrier. Apple launched the iPhone 5s and 5c with NTT DoCoMo back in September, and sales have been rocketing upwards ever since. Sales have proven so good, in fact, that Apple recently moved Doug Beck, chief of sales for Japan and Korea, over to handle the North American beat — where it is hoped he can apply some of the same sales mojo to increasing U.S. market share. 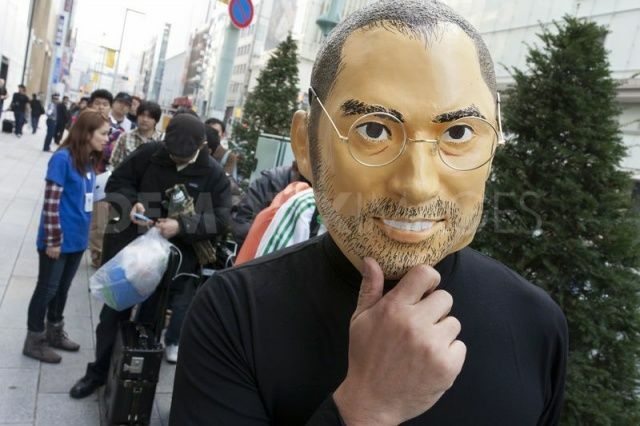 Over the past fiscal year, Apple has shipped a total of 14.43 million iPhones to Japan. Not bad for a country that some once speculated hated the iPhone so much it could barely be given away for free. MM Research Institute (the company responsible for the stats quoted above) notes that for the same period, Sharp held a 13% share of the market, while Sony claimed 12.3%. Samsung, which is Apple’s arch nemesis in countries like China and Korea, presently holds a pathetic 5.7% of the Japanese smartphone market.